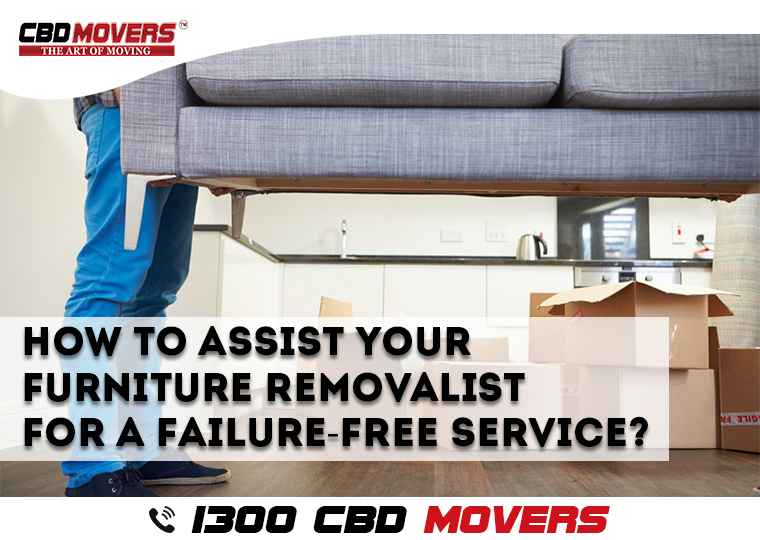 Assist Your Furniture Removalists in Perth For a Failure-Free Service? How To Assist Your Furniture Removalists in Perth For a Failure-Free Service? Relocating can be an ecstatic event in one’s life. However, there are a whole lot of things to be done for moving from one location to the other. While there are some tasks that have to be done by self, other tasks can be outsourced to an expert. Furniture removing is one such task. It makes prudent sense to hire a furniture removalist in Perth to get the job done. Hiring an expert provides a dual benefit. One, it ensures that the furniture reaches the destination in proper condition and two; it gives you peace of mind and ample time to focus on other jobs. The service provider will be able to serve you better in case you provide clear-cut instructions. Your co-operation is a sine qua non for a failure-free service. As a novice, you might feel that there is nothing much you can do. However, the reality is that your contribution will play a pivotal role in the service. Begin to maintain a diary well in advance to help you jot down everything that comes to mind at whatever time of the day. Inform your furniture removalists in Perth of the load limits, if applicable, in your area to help them schedule your shipments. Have the boxes numbered while packaging. This will help in tracking merchandise in transit and will assist in finding the desired objects while unpacking. For small items, have plenty of boxes in place. Don’t overload them. If they break or items spill, the intended saving will lead to more cost being incurred. On the contrary, don’t underfill. This will increase your shipment cost. Moreover, less than optimally filled boxes tend to shift and or collapse. Perishable items are best consumed before initiating the process of moving. Breakable items should be packed and labeled separately. Essential items too should be packed and kept separately from the other boxes. Adopt these simple and common sense tips and join hands with CBD Movers Perth to enjoy a hassle-free and memorable moving services experience.